Herion Chase Killed, 1 Injured in San Antonio Restaurant Shooting; Justice for Family? Did a security failure contribute to the tragic loss of this father-of-five and are justice and compensation available Mr. Chase’s family? 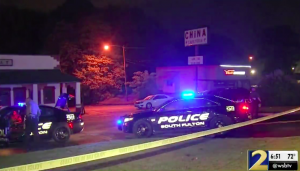 Security measures are under scrutiny after an altercation erupted in gunfire “in [a restaurant] parking lot on the 5600 block of Dietrich Road” Saturday, September 8, 2018, tragically claiming the life of 44-year-old Herion Chase, according to FOX 29. Police told KSAT “two men were fighting in the parking lot…when one pulled out a gun and fired several shots.” Mr. Chase succumbed to fatal injuries at the scene. A second victim was transported to Northeast Baptist Hospital with injuries. “[Mr.] Chase’s family doesn’t believe he was involved in the reported fight,” per KSAT reports. They are still searching for answers and justice. Did negligent security contribute to this San Antonio restaurant parking lot shooting? We represent individuals and families who have suffered a tragic loss or injury as a consequence of negligent property security. Read Our Legal Take below to find out if Mr. Chase’s family may have a legal avenue for justice and claims for substantial compensation in Texas, or call now for a free consultation with our legal team: 888.842.1616. Were any attempts made by restaurant management or security to safely and separately remove those involved in the initial altercation from the premises, prior to an escalation to gunfire? What security measures, such as weapons screenings, bright parking lot lighting, surveillance cameras, and security patrols, were in place to deter crime and protect the victims at the time of the shooting? Generally, property owners are required to protect all those legally on the premises from any foreseeable harm. Should the facts of this matter reveal that the restaurant or parking lot owners failed to provide adequate security to protect those on its premises, the family of Herion Chase may seek justice and elect to pursue legal claims for their loss. Additionally, the other victim of this tragic shooting may pursue legal claims for his injuries. We’ve Recovered Millions for Victims of Restaurant and Parking Lot Security Negligence…Contact us Now for a Free Consultation.